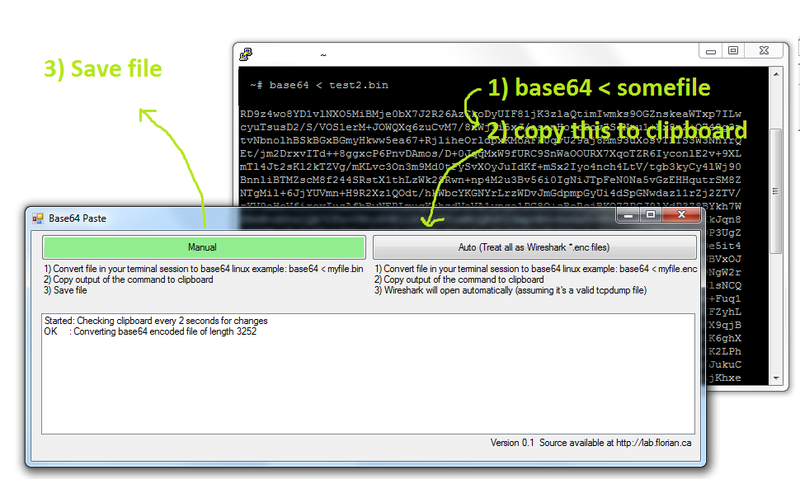 This is a new utility that let’s you paste base64 encoded text from your clipboard directly to a file. If you’ve ever found your self in a SSH console with no way to do file transfer back to your workstation, this utility is for you. Normally in such a situation, you’d have to base64 encode the file, copy it across to your workstation, and decode it there. I thought that was too many steps, so I simplified the process for my self by making this tool.